If requested in advance, test results can be picked up at the test centre. Candidates cannot receive their results by phone or e-mail. Please have your Passport/ID with you. *Please note this service is solely operated by IDP. Global Village Calgary is not responsible for the service. Follow the steps below to successfully view your results. Given/Other Name(s): Enter name exactly as it appears on your passport or PR card, including all middle names. Family Name: If you do not have a last name, please use a dash "-". Please enter your information exactly as it appears in your final confirmation email. Provisional results may be previewed online 13 days after your test date. Provisional results may be previewed online 5-7 days after your test date. The system will not display results for more than 28 days after your test date. Make a payment through PayPal or by using the Credit Card Authorization Form included in the Additional Test Report Form. Payment must be received with your Additional Test Report Form request. The fee for all additional test results is $20 CAD. There are optional fees for couriered results. 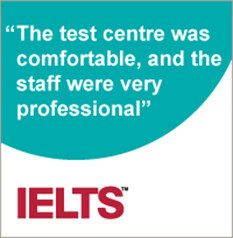 Your IELTS test score is valid for 2 years. Additional Test Report Forms can only be requested from the centre at which you wrote the IELTS test. Examinees may not request an additional Test Report Form to be sent to them. Examinees receive only 1 copy after completing the test. Your additional Test Report Form request will be processed within one week of it being received. Additional TRF requests will not be accepted within 2 weeks prior of your results expiring. Enquiry on Results: the process by which candidates ask for one or more test modules to be remarked by experienced Examiners and Senior Clerical Markers. This request is made after the test results have been released and is designed to ensure candidate performance has been accurately assessed. Should a candidate be awarded a higher score than the original, a new Test Report Form (TRF) will be issued by the Test Centre with the new score(s). A full refund will also be issued to the candidate. Should there be no improvement in score, or should the original score decrease, the original Test Report Form will be returned to the candidate and there will be no refund of the re-mark fee.